This is our backpacker style accommodation. There are cooking facilities in the camper's kitchen. No cooking in the 'Lucky' van. Shared bathroom facilities are conveniently located nearby. Sleeping up to four guests, the cabins are comfortable budget family accommodation. Shared bathroom facilities are conveniently located close by. Each cabin has a fully self-contained kitchen, gas stove, refrigerator/freezer, DVD player. There is a separate bedroom with a queen size bed. The kitchen area also accommodates a bunk bed, dining table and opens to the covered verandah with outdoor setting. This is our premium accommodation. Modern, spacious, brand new, fully self-contained two bedroom cottages with kitchen, dining and lounge. 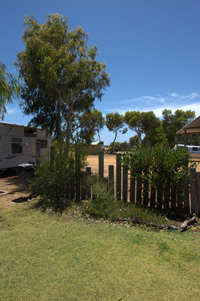 The cottages are located next to a Banksia bushland overlooking the sweeping farmland. Bed configuration is 1 queen & set of bunks (double bottom with single on top). Each cottage has its own verandah with a comfortable outdoor setting and a state of the art barbecue. During the cooler months of the year you can light the pot belly stove and keep warm and cosy. Laundry facilities are available in the park. 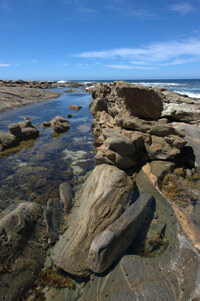 We offer a small number of spacious, protected sites for maximum privacy. Two drive through sites are available. 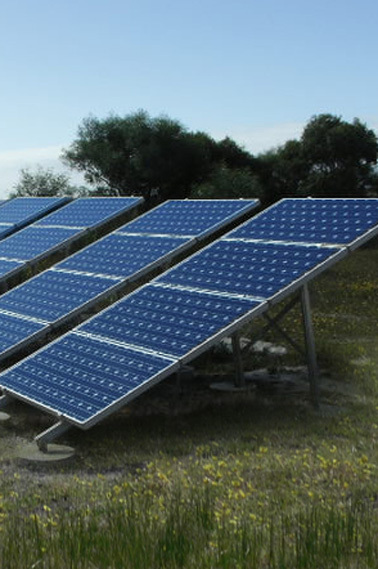 Electricity is provided by wind and solar with a generator back up. We kindly ask our guests not to use air-conditioning, electric kettles, toasters and frying pans. For your convenience we provide gas barbecues, gas kettles and gas toasters in the campers' kitchen. Fire buckets can be arranged, please enquire at the park office, conditions apply. $5 p/n for additional guests. There is a lawn area below the main park with some shade and wind protection. A few steps lead up to the ablution facilities and the campers' kitchen. 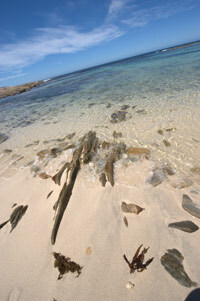 The ‘Banksia lawn' is a very secluded site and suitable for one family only. * Electricity is provided by wind and solar with a generator back up. It cannot handle, support or cope with air cons and heating elements eg, electric kettles toasters, frying pans, blow dryers etc and we kindly ask guests to respect this and refain from using them. For your convenience we provide gas barbecues, gas kettles and gas toasters in the campers' kitchen. * EFTPOS facilities are available. * Please note this form does not book your accommodation- it is to request availability. 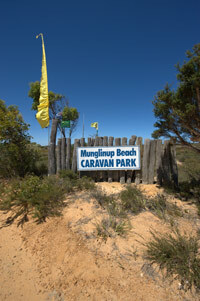 Munglinup Beach Holiday Park will contact you to confirm if accommodation is available for your dates.